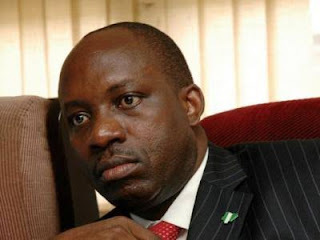 A former Governor of the Central Bank of Nigeria, Charles Soludo, has said former President Goodluck Jonathan ran the bank like a movie from Uganda under Idi-Amin. Idi-Amin Dada ruled Uganda with an iron fist between 1971 and 1979 and has been described as one of the most corrupt African rulers. Mr Soludo said, “Imagine a scenario where a president can order the CBN to create an intervention fund for national stability and CBN literally ‘prints’ say, N3 trillion, and doles it out cash to the Presidency to prosecute an election campaign or for just about anything he fancies. It is a scary thought. He said it was regrettable that in spite of the bank’s statutory independence, it continues to be a victim of high-wire politics, often “electrocuting” the bank’s leadership. The President of the Manufacturers Association of Nigeria, Frank Jacobs, identified foreign exchange restrictions; infrastructure; and high cost of business as the three biggest challenges. Mr Jacobs advised against increased taxes, recommending instead a “widening of the tax net” to improve government revenue. Also featured are the Managing Director of the Asset Management Corporation of Nigeria, Ahmed Kuru; the Group Managing Director of Fidelity Bank, Nnamdi Okonkwo; the CEO of Capital Assets, Ariyo Olushekun; the CEO of Complete Communications, Sunny Obazu-Ojeagbase; and one of the founders of Jobberman, Opeyemi Owoyemi, among others.